REMS GmbH & Co KG - Nobody hardens metal better than us. Therefore, we do it ourselves. 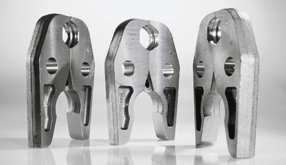 Highly durable, safe in application and extremely resilient – a tool can only meet such demands if the components are perfectly hardened. 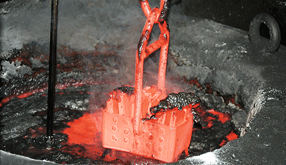 An important cornerstone for the quality of REMS tools is laid in our own heat treatment shop. The decades of experience has provided important know-how and is the secret of REMS quality tools. The special heat treatment leads to an ideal combination of solidity and robustness and to an especially long durability, as, for example for threading dies, cutter wheels and pressing tongs. The heat treatment process is automatically monitored and permanently recorded by efficient computer technology. This allows a uniformly high product quality. 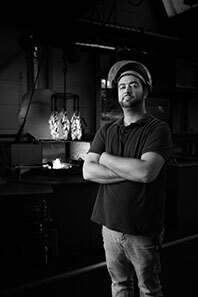 Our own heat treatment shop – an important aspect of the know-how and the secret of REMS quality tools. 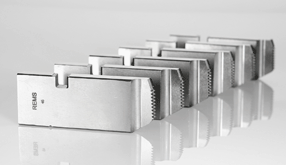 The proven, indestructible REMS quality threading dies. Of robust, especially hardened special steel. 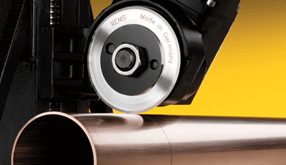 REMS cutter wheels complement the special demands of the various materials. In particular the special hardening process determines the durability of the REMS cutter wheels.